Losing irreplaceable intellectual property and company data is one of the hardest things for a business to endure. Whether via system failures or a natural disaster, hacking or virus, or user error, data failure is often unforeseen and sudden. 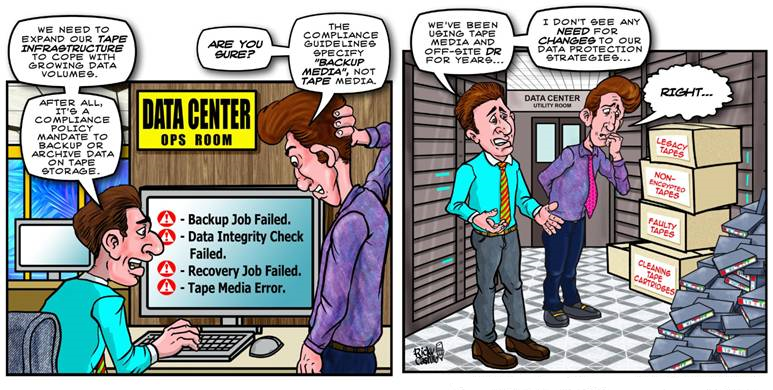 Every business needs data backup, and Baynetwork will help your business to set one up, endure data loss and get back up and running in no time. Baynetwork Network Attached Storage, Storage Area Network (SAN) and RAID solutions deliver a more efficient and effective way to protect data. Our team of certified industry professionals oversees the backup process, so you can be sure it is done efficiently and effectively. All backups are scheduled and controlled through our on or off-site backup or our Cloud Services Division. We implementing fully automated data transfers from NAS or SAN to off-site storage. Baynetwork only recommends the best systems, software, and hardware to our clients. We know that data integrity is a necessity for businesses and we understand the importance of having backups that can survive everything from viruses to power spikes to natural disasters. Implementing a Hybrid Cloud Data Backup Solution can help protect irreplaceable intellectual property and company data. As businesses grow, the amount of data that requires storage and protection will increase dramatically. At the same time, the window of time during which backing up data without having a negative impact on business operations decreases. These factors make the server administrator's job of storing and protecting data fundamentally more challenging. Incorporating Baynetwork's Backup solution into your company operations streamlines management operations, lowers the total cost of ownership, and offers a better performing backup solution.